Smash-Crash Course in Ceramics – Emma Teaches Art! 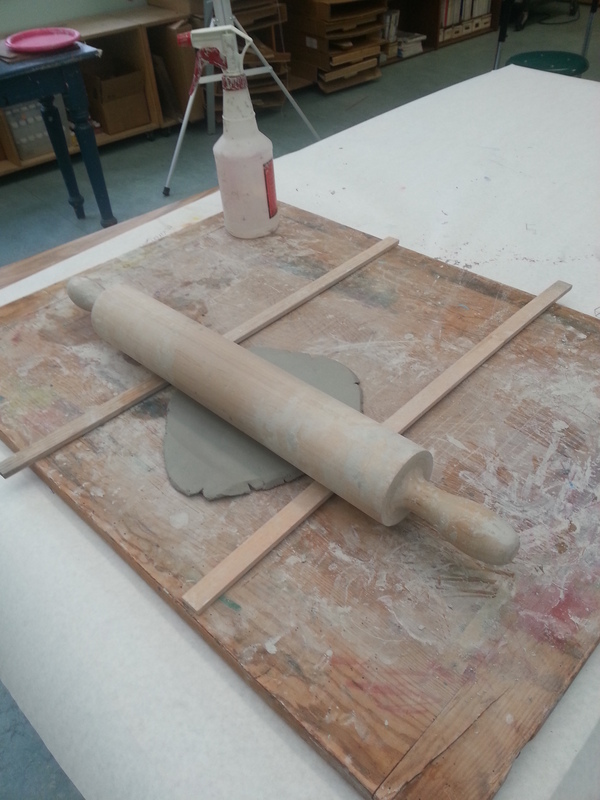 This past week in my Foundations of Studio Art class we began an experience with clay. Since I am determined to expose my freshman girls to as many techniques and materials in art as I possibly can I figured why not take advantage of our schools amazing resources and create some ceramic pieces. There were some initial challenges. Number one being that unlike the ceramics studio down the hall, we are seriously lacking in clay storage space. So I decided why not just use the same drying racks we’ve been using. These were clearly meant for paintings and other 2D work, but I knew that if we kept our projects mostly flat, it would work. 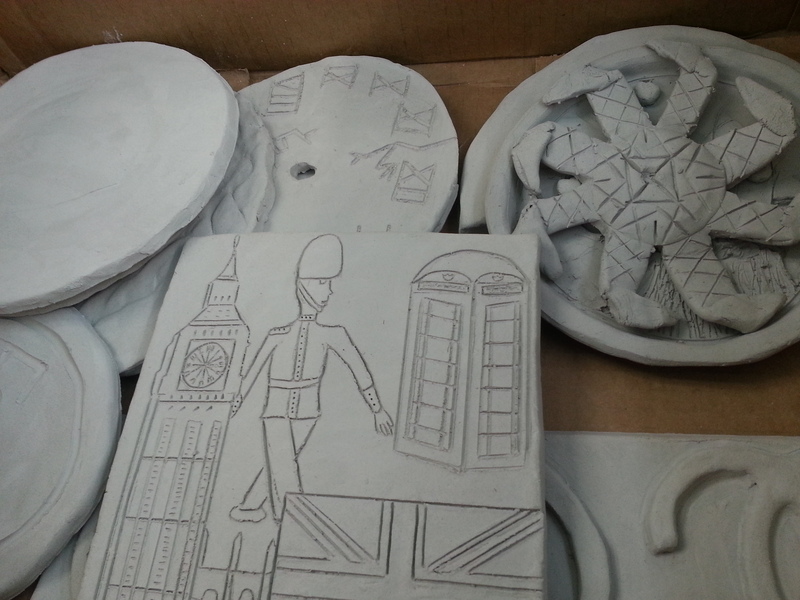 So out of this dilemma our project was born: Ceramic plates or clocks. 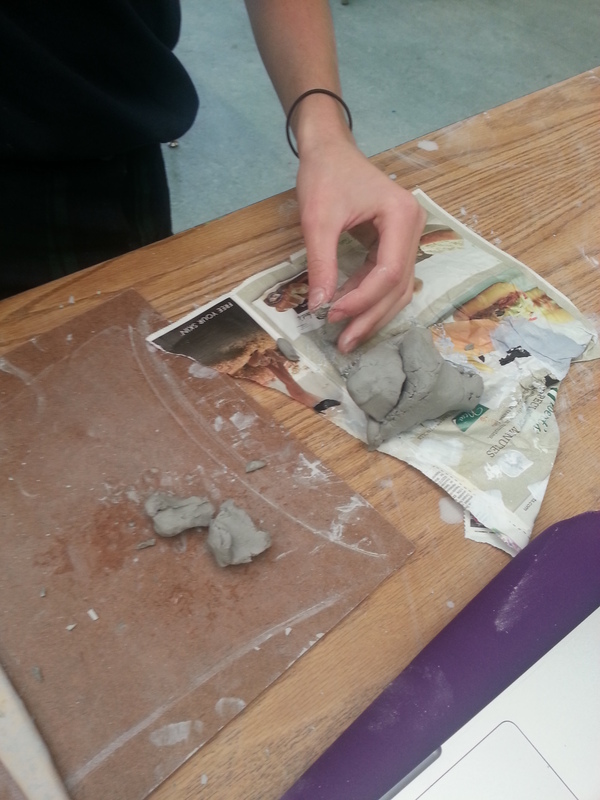 And then came the challenge of finding clay, but luckily our amazing ceramics teacher had 40 pounds of low-fire clay that she was not planning on using. Below are some pictures of the ongoing process.